Join sleep specialist Dr. Corrine Seeley to educate yourself on newborn sleep and give yourself confidence establishing healthy sleep across the first year. Educating new and expecting parents is linked to better sleepers by 6 months. Online workshop with Rebirth Wellness Centre. Join sleep specialist Dr. Corrine Seeley to educate yourself, “fill your sleep tool box”, and give yourself confidence establishing healthy sleep across the first year. According to research, new and expecting parents who are educated in infant sleep is linked to better sleepers by 6 months. Dr. Corrine Seeley obtained her Ph.D. in Sleep Neuroscience from Queens University, specializing in the role of sleep in brain development. She has published many research articles in well-respected, peer-reviewed journals and has given many public and university level lectures on the topic, including teaching a university level ‘sleep’ course. After 10 years studying and teaching sleep she had a son of her own and quickly realized how important sleep was for the growth and well-being of her child, and the entire family unit. She also noticed how little sleep education there was families and how many moms had questions about sleep and nobody to give them proper support. 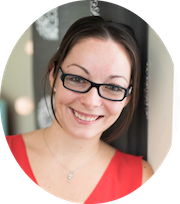 Now, as a paediatric sleep practitioner, she is devoted to making sleep education more widespread and helping families establish healthy sleep habits using natural, realistic and gentle approaches. Her practice is highly focused on parental education, a method that has been proven to be equally effective as cry-it-out methods. It is her mission to make this knowledge accessible to all new and expecting parents, and help them feel empowered navigating the wild world of infant sleep.